These free St. Patrick's Day coloring pages will keep your kids happy and occupied for an afternoon with a bunch of coloring fun. The St. Patrick's Day coloring pages are all free for you to print and you can print as many as you want. These make them great for the classroom too! There's always free spring coloring pages if you are looking for some fun spring images for the kids to color. Tip: Be sure to visit each link and follow the directions on how to get the St. Patrick's Day coloring pages to print on an entire page without any ads. You'll find free St. Patrick's Day coloring pages of shamrocks and leprechauns over at Coloring Castle. 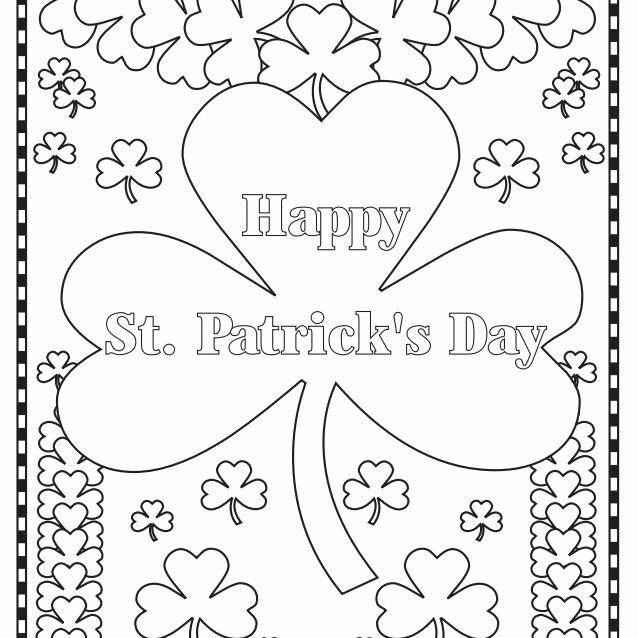 All the St. Patrick's Day coloring pages here open as PDF files that you can easily print. Not only does this website have free St. Patrick's Day coloring pages, they also have a free St. Patrick's Day maze and a crossword puzzle. You'll need to click on the coloring page twice to print. In addition to the free St. Patrick's Day coloring pages, you'll also find a free St. Patrick's Day connect the dots, color by letters, and tracing practice. Be sure to click No Ad Version if you want to print the St. Patrick's Day coloring page free of ads. 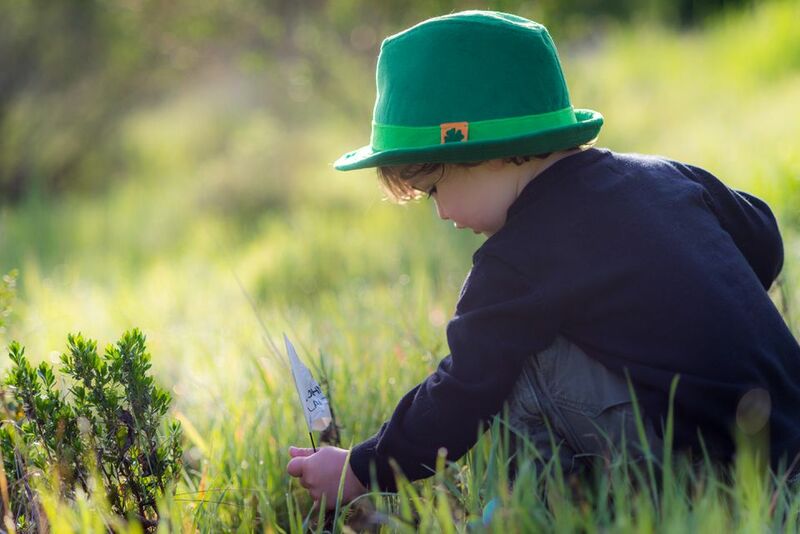 You'll find a ton of free St. Patrick's Day coloring pages at Raising Our Kids in the categories of kids, leprechauns, pots of gold, and shamrocks. You'll also find free St. Patrick's Day coloring pages especially for preschoolers here. Not only can you print these free St. Patrick's Day coloring pages, you can also color them online if you wish. Apples 4 the Teacher also has a lot of other free St. Patrick's Day activities to do with your child. This website has a few free St. Patrick's Day coloring pages and they also have some related St. Patrick's Day worksheets, rainbow activities, and activities about Ireland. Your child will have so much fun with these free coloring pages and activities! You can also print any of these free St. Patrick's Day coloring pages as colorful posters to decorate with. Just click on B&W or Color to make your selection before printing. Primary Games has a nice handful of St. Patrick's Day coloring pages that include leprechauns, children, shamrocks, and pots of gold. Click on the thumbnail of the St. Patrick's Day coloring page you'd like to print and then print it as a PDF file. Horseshoes, top hats, leprechauns, pots of gold, rainbows, and shamrocks are all waiting to be printed and colored at Coloring Book Fun. To print the free St. Patrick's Day coloring pages here you'll need to click on the image twice to get an ad-free printable. Crayola has a nice handful of St. Patrick's Day coloring pages that include pots of gold, shamrocks, leprechauns, rainbows, parades, hats, and more. Click on the thumbnail of the page you'd like to color and then use the Print Now button to open up a print preview window from your browser.